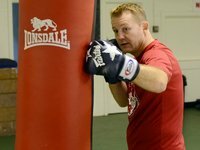 Once you have mastered the jab, you are now ready to double it up. 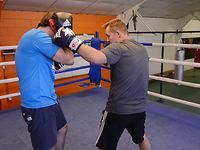 It's easy to defend against a single jab so by mixing up your jabs with singles, doubles or even triples and changing the quickness and the power you can create confusion for your oppShow More onent. 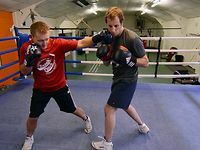 It doesn't matter if your opponent blocks the first jab just follow straight through and try and land with the 2nd jab. 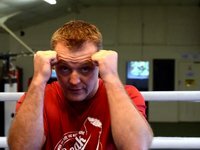 If your 2nd jabs lands successfully, plant your feet and throw your power hand (this is your right hand if you are fighting Orthodox or your left hand if you are a South Paw). 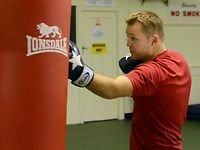 When I show students how to move with the jab I like to teach them the exact way that I was initially taught, which is to move at the same time as jabbing, so as you launch the jab you are also pushing from the back foot simultaniously, taking small steps towards your opponent - I find the jab can often disguise the movement in, and if you are landing the jabs and you are close enough to your opponent, you should be able to start throwing combinations. 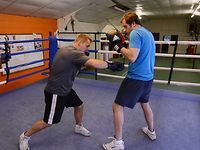 Some trainers teach to move first then jab, which does have its benefits as you can set yourself for harder punches, but I find it restricts my movement around the ring and can telegragh your game, but its always worth trying it. 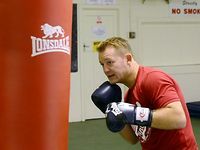 What suits me, might not suit you and boxing ultimately is about individuality, if we all boxed the same would be incredibly boring :). 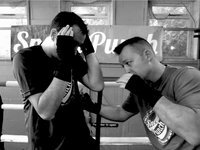 Have fun with it, and remember if you are shadow boxing, don't put too much power into your punches or over extend as you might damage your elbow.